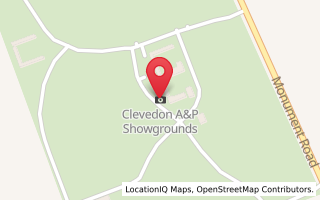 Non-members are welcome to ride on Clevedon Pony Club's grounds, however there are a few boxes to tick first. Our grounds are owned by Auckland Council, and we share the use of grounds and facilities with other users. Booking times are restricted, and we ask anyone using our grounds to be considerate towards others who may be there at the same time. Non-members must be accompanied by a Clevedon Pony Club member when riding on the grounds - no exceptions! Please note that if our grounds are wet, riding is not permitted on grass areas. Check the 'Grounds Open/Closed' sign before you ride. Please fill in this form and complete the checklist BEFORE YOU RIDE. Complete a casual membership form (if you have not done so previously this season) and give it to the Clevedon Pony Club member who accompanies you when you ride on our grounds. This member should pass it to the committee as soon as practicable. I agree to read the visitor's Health and Safety Briefing and the Health & Safety Hazards List, located on the exterior of the club rooms and will avoid all known hazards where possible. I am aware of the Emergency Plan, located on the exterior of the club rooms. I agree to inform a committee member if I become aware of any hazards that are not already in the hazards list. I have paid the $20 casual use ground fee into Clevedon Pony Club's bank account (account number 12 3031 0899614 00, use your surname as reference). I have emailed Clevedon Pony Club to advise of the date/time of my booking. I have read the grounds use rules and agree to abide by these. I understand that breaches of rules or failure to complete any of the checklist above may result in future grounds use requests being denied.